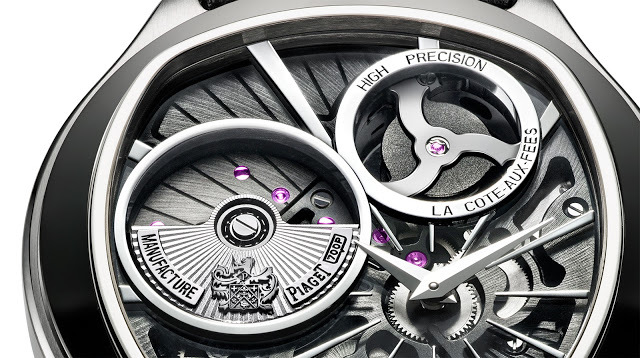 Soon to be unveiled at SIHH 2016, the Piaget Emperador Coussin XL 700P is powered by a new hybrid movement with traditional automatic movement with an electromechanical regulator. Here’s the scoop, along with official pricing. 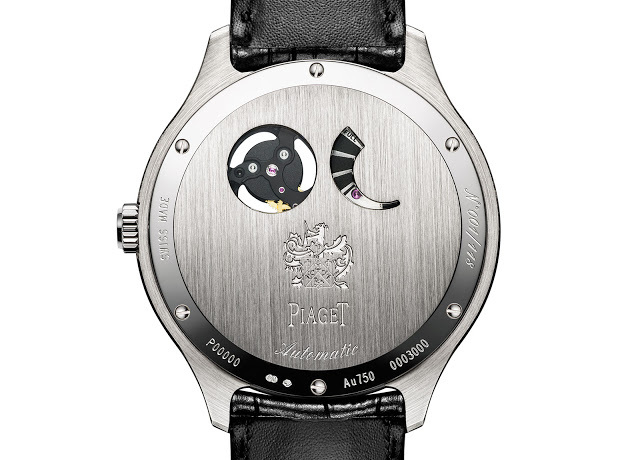 Piaget celebrates the 40th anniversary of its first in-house quartz movement at SIHH 2016 with the Emperador Coussin XL 700P, powered by a quartz movement that integrates traditional mechanics, a peculiar combination of novelty and tradition. The calibre 700P has automatic winding, as well as a wheel train that drives the hands, but instead of a traditional Swiss lever escapement it’s fitted with a hybrid oscillator, making it a hybrid of new and old. The calibre 700P is a fairly complicated movement, made up of some 300 components, but is fairly easy to understand. 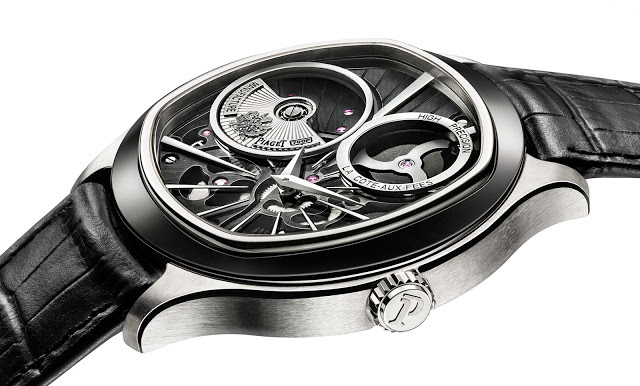 A micro-rotor visible on the dial generates energy that is stored in a mainspring, which has a 42 hour power reserve. That in turn powers the electromechanical regulator, essentially mechanical oscillator controlled by an circuit with a quartz crystal that vibrates at 32,768 Hz when an electric current is passed through it, the frequency of nearly all quartz movements. Because of the high frequency (an ordinary mechanical movement runs at 4 Hz or 28,800 beats per hour), quartz movements are far more accurate than mechanical ones. While the oscillator is mechanical, the quartz component ensures it stays spot-on, like a conventional quartz movement. 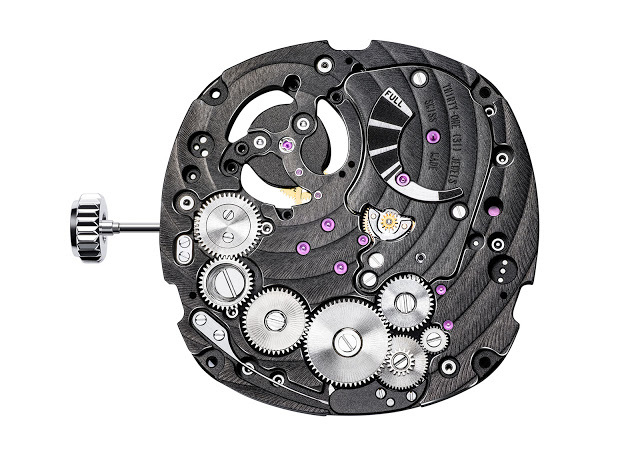 Because most of the movement is occupied by mechanical components, the calibre 700P looks like a traditional movement. But instead of a balance wheel at one o’clock, the space is occupied by the electromechanical oscillator. 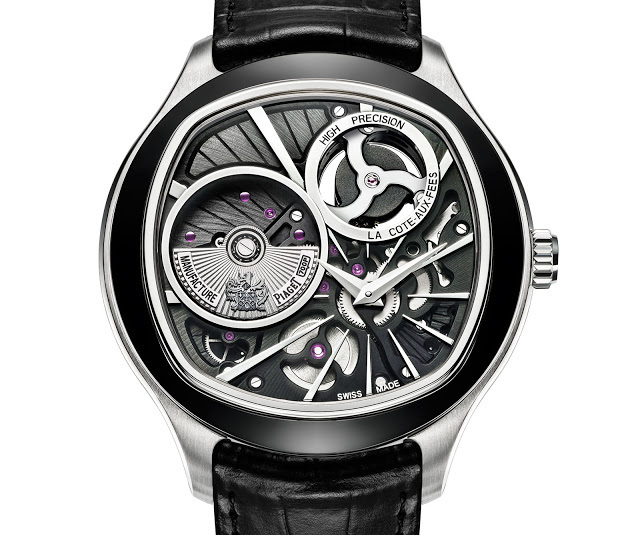 Though the movement is new, the case styling is typical Piaget and similar to other Emperador Coussin XL watches. Measuring 46.5 mm wide, the white gold case is a slim and not particularly long, so it wears like a smaller watch despite its large diameter. The bezel is also white gold, but coated with amorphous diamond-like carbon (ADLC), giving it contrast against the white tone of the case. This immediately bring to mind the Seiko Spring Drive, which similarly has a mechanical oscillator (in the form of a flywheel) that is governed by a integrated circuit linked to a magnet. Another more recent hybrid is the Urwerk EMC, which is instead a pure mechanical movement with an electronic rate monitor that allows the wearer to regulate the watch. The Emperador Coussin XL 700P is a limited edition of 118 pieces, priced at S$109,000 in Singapore. That’s equivalent to US$77,900. Correction December 16, 2015: Edited to correct error describing the movement construction.